Reprising the romance of '90s with the charm of their own, Hrithik Roshan and Sonam Kapoor's music video, "Dheere Dheere" crooned by rap star Yo Yo Honey Singh has crossed 20 million views. Hrithik Roshan took to Twitter to congratulate his co-star and the team associated with “Dheere Dheere” video, produced by T-Series as a tribute to Gulshan Kumar. Reprising the romance of ’90s with the charm of their own, Hrithik Roshan and Sonam Kapoor‘s music video, “Dheere Dheere” crooned by rap star Yo Yo Honey Singh has crossed 20 million views. The 41-year-old “Bang Bang” star took to Twitter to congratulate his co-star and the team associated with the video–produced by T-Series as a tribute to Gulshan Kumar. //platform.twitter.com/widgets.jsSonam, 30, retweeted the post. Hrithik also congratulated producer Bhushan Kumar, for coming up with the idea of paying a tribute to his music composer father and founder of T-Series Gulshan Kumar. “What succeeds is intention behind the action. A son’s love for his father. Well done Bhushan! @Tseries (20 million seriously),” he tweeted. 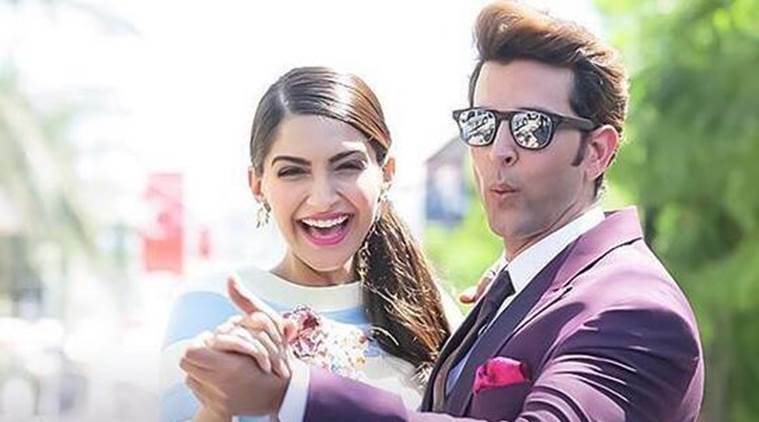 Officially released on September 1, the video is Hrithik and Sonam’s second project together after an ad film.